New Delhi: The divisions between urban and rural India are not only steeped in history, but are also cultural, social and practical differences. The habits and practices of people from both urban and rural areas are habitually suited for environments and infrastructure around them. Sanitation in urban India is dependent of individual household toilets and public/community toilets, the latter becoming more important for the cities where a large chunk of the population lives in slums. The Swachh Bharat Abhiyan has made a significant impact on both rural and urban sanitation and the announcement of open defecation free (ODF) cities is becoming frequent now than in the last three year. But with ODF comes the next challenge, the sustainability of ODF status something many urban bodies are likely to face in the coming days. At the World Cities Summit 2016, urban sanitation was a much discussed topic. 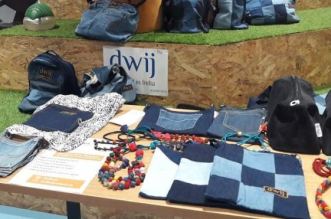 Discussions about sanitation in cities like Rio, Mumbai and Nairobi revolved around availability of adequate safe sanitation facilities for the urban poor. Discussions on providing 100 per cent sanitation coverage and challenges related to the same pointed to some harsh challenges in sustaining ODF statuses in cities. Sanitation in urban areas is a different challenge from sanitation in rural areas. People in urban spaces are more mobile, use public and community toilets more frequently and many households in urban areas do not have adequate space for individual toilets. Sustaining ODF status in a city is huge challenge the key is to cover every aspect of sanitation related behaviour in the urban space, said Professor Kumar Jyoti Nath, Sanitation Expert from International Forum on Water Hygiene in Buildings. ODF sustenance in urban areas can be achieved after a number of ancillary factors related to sanitation are taken into consideration. Here are the five primary steps to be stressed upon by urban civic bodies to ensure that an ODF urban space retains its ODF label. A strict and uncompromising clause of an ODF area is that at any point of time, no person should be seen defecating in the open. 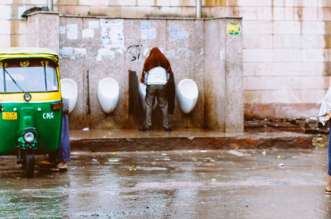 Open defecation spots in cities are easier to identify, and one of the basic monitoring principles of ODF sustenance in urban areas. 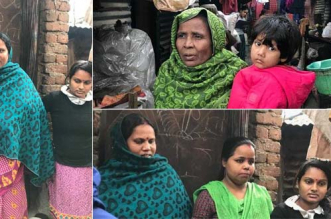 Visits multiple times in a day can help authorities keep a tab on whether the spot is being used for open defecation or not. Open spaces near railway tracks and slums should be developed to create gardens, playgrounds or any recreational space. Conversion of open spaces into gardens or playgrounds also inculcates a sense of cleanliness among people habituated to defecating in the open, and compels them to use toilets. Space in urban households is a major hindrance in construction of individual toilets. In households where space is a constraint, individual household toilets are an unaffordable and impractical luxury. But in many households, open defecation is rampant despite there being enough space to construct a toilet. A 2012 survey by the Urban Affairs Ministry found out that out of 48,000 households in Delhi, 11,000 had enough space to construct a toilet but chose not to. Individual household toilets decrease the pressure on community toilets, making them used by less number of people so that the maintenance of community/public toilets is easier for the responsible civic bodies. Individual toilets also make owners comfortable about using their own toilets. In case of severe constraint, group toilets can be constructed where two-three households knowing each other well come together to build and use a toilet and contribute towards a city’s ODF sustenance. Space in urban areas is a constraint and civic bodies are trying to make toilets in public spaces accessible for all. 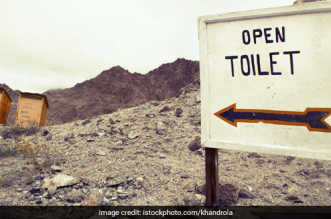 Geo-tagging of toilets available in nearby areas, accessible from smartphones is a trend that is helping people discover toilets nearest to them. In many cities like Delhi, Bengaluru and Mumbai, toilets in petrol pumps, malls and restaurants have been allowed to be used by the public for nominal charges, ensuring that people who do not have access to a household or public toilet yet, can use alternatives available to them. 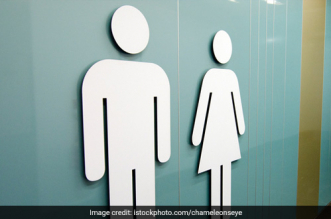 In Bengaluru’s Jayanagar, a public toilet constructed in 2015 had become defunct and unusable within a year, due to sewage and human waste washing up from the toilet. It deterred people from using the toilet and compromised with the whole principle of availability of a public sanitation facility. Effluents from septic tanks continue to be dumped in drains, often resulting in clogging. Disposal of septage should be directly linked to sewage treatment plants, so as to ensure that the waste from the toilets go straight for treatment. The Smart Cities Mission looks to connect the drainage systems of public and household toilets to sewage treatment plants, and smoothen the flow of septage. “Toilets are used till they are usable. As a part of the Smart Cities Programme, the drainage facilities of an urban area will be improved by establishing direct drainage lines between STPs and septic tanks. Often toilets are unusable by people because they are connected to poorly drawn drainage systems. 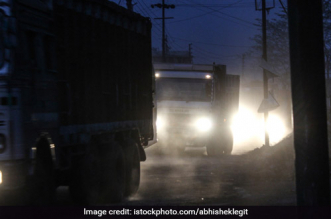 Smart Cities are committed to go both ODF and ODF plus and proper drainage systems are an absolute priority,” said Manoj Kumar, Additional Secretary, Ministry of Housing and Urban Affairs. 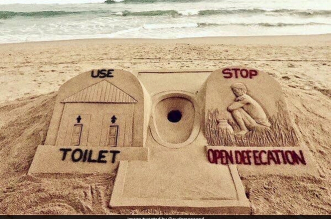 In an ODF city, instances of open defecation should be dealt with strictly. A separate system of taking in and dealing with complaints related to open defecation, unclean open spaces and ill-maintained community and public toilets will help in the sustenance of a city’s ODF status. Civic bodies in charge of building and maintaining toilets should also be responsible towards ensuring that breaching the ODF rule must be penalised accordingly. Status of open defecation related complaints should be tracked by a Special Officer on daily basis, a step already taken by the Navi Mumbai Municipal Corporation. A stringent measure like this will deter people from defecating in the open. 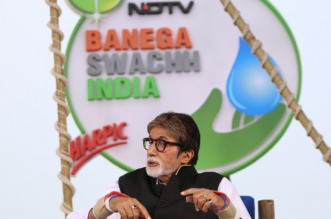 The Swachh Bharat Abhiyan has been repeatedly called out as a people’s movement. The ODF tag for a city is a success for its residents, as much as it is for the civic body in charge. Residents must be made aware of the role they played in a city becoming ODF. Civic bodies must promote the ODF tag of a city among residents and ask for their cooperation in maintaining the ODF status. This can inculcate a sense of responsibility associated with cleanliness among the residents, and will motivate them to do their bit to maintain the ODF status of their city. The annual urban sanitation and cleanliness survey Swachh Survekshan has instilled a spirit of healthy competition in urban civic bodies. 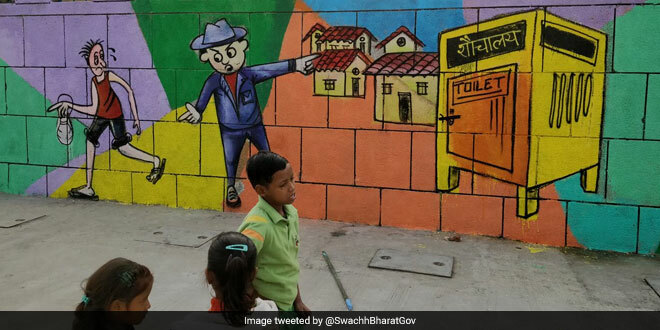 Over 4,000 cities participated in Swachh Survekshan this year, all of which were ranked on the basis of availability of safe sanitation facilities and proper waste management mechanisms. The competitive spirit of the survey ensured that civic bodies took steps to improve urban sanitation and waste management facilities in cities. 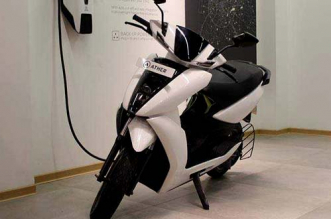 The Survekshan has also motivated citizens and increased their participation towards contributing to a cleaner India. I have problem near by regarding defecation but it is not open defecation. The outlet of urine discharge is in open and it creates unhygienic environment around my house. Please suggest me what to do. what are the rules and regulation to stop this. I have filed complain in local governance board but they are not taking any action.